Vikas Kandola was the star performer with 9 raid points and was ably supported by Naveen who chipped in with five raid points for Haryana. 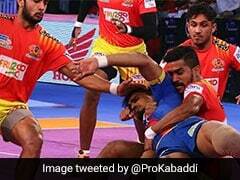 Haryana Steelers displayed an all-round performance to record a much-needed 34-27 win over Dabang Delhi in a Pro Kabaddi League (PKL) match on Sunday. Vikas Kandola was the star performer with 9 raid points and was ably supported by Naveen who chipped in with five raid points for Haryana. Dabang Delhi's Naveen Kumar also scored 10 raid points, however, he didn't get enough support from his defence. In the other match of the night, Patna Pirates beat Bengaluru Bulls 35-32. Pardeep Narwal got 11 raid points for Patna Pirates while Rohit Kumar was the top raider for Bengaluru with 13 points. 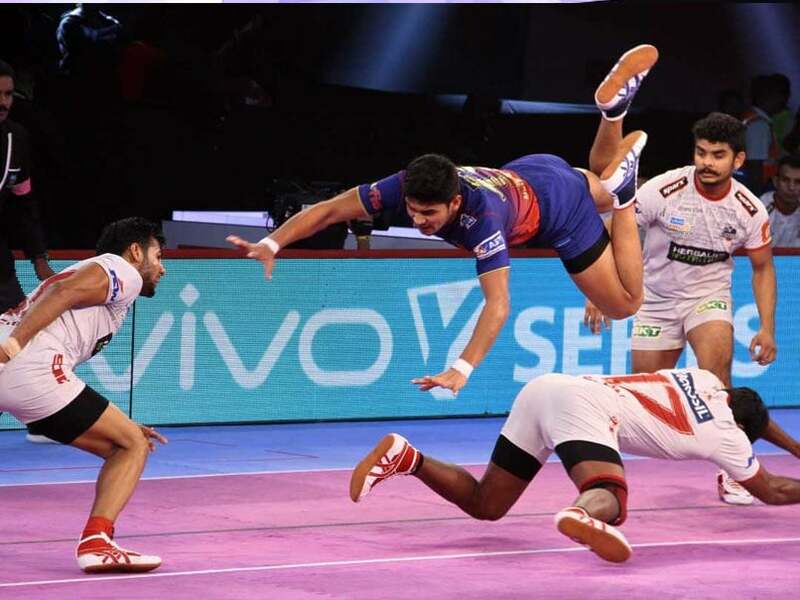 Earlier in the first match, Haryana Steelers got off to a quick start to lead 2-0 after two minutes but Naveen Kumar levelled the match for Dabang Delhi with a two-point raid. It was a quiet first 10 minutes as both sides seemed to be measuring each other. Haryana Steelers were trailing 5-7 and their star raider Monu Goyat was struggling to put points on the board. Vikas Kandola got the bulk of raid points for Haryana Steelers in the first half. After 15 minutes both teams were locked in a tight battle with the scores level at 9-9. Monu opened his account in the 17th minute to give Haryana Steelers 12-9 lead. At the end of the first half, Haryana Steelers led 13-10 with Dabang Delhi still very much in the game. Vikas made a two-point raid at the start of the second half as Haryana extended their lead to 17-10. Haryana Steelers inflicted the first all out of the match in the 25th minute to lead 23-15. Naveen Kumar had an excellent raiding game for Delhi as he consistently put the points on board. After 30 minutes, Haryana Steelers were in the driving seat as they led 27-18. Haryana Steelers kept their nerve and composure in the last five minutes and went away with a convincing 34-27 win.